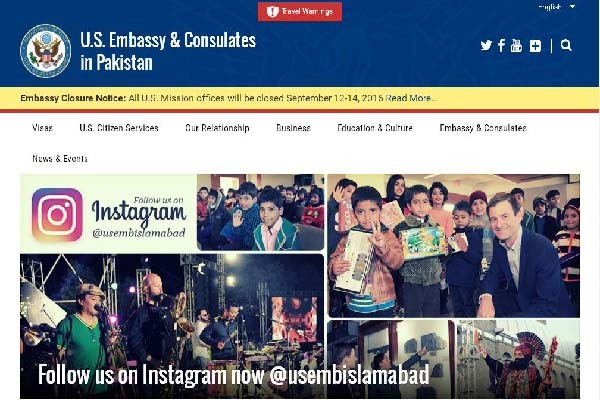 ISLAMABAD, Sep 9 (APP): The U.S. Mission in Pakistan on Friday launched a new website with improved access to information about applying for visa, job vacancy announcements, and official press releases. American Ambassador David Hale officially launched the website, saying that the website was a reflection of how the U.S and Pakistan were working together and their enduring partnership growing even stronger. The website also has information about the three U.S. Consulates and the services they provide, as well as information about Lincoln Corners in Pakistan.